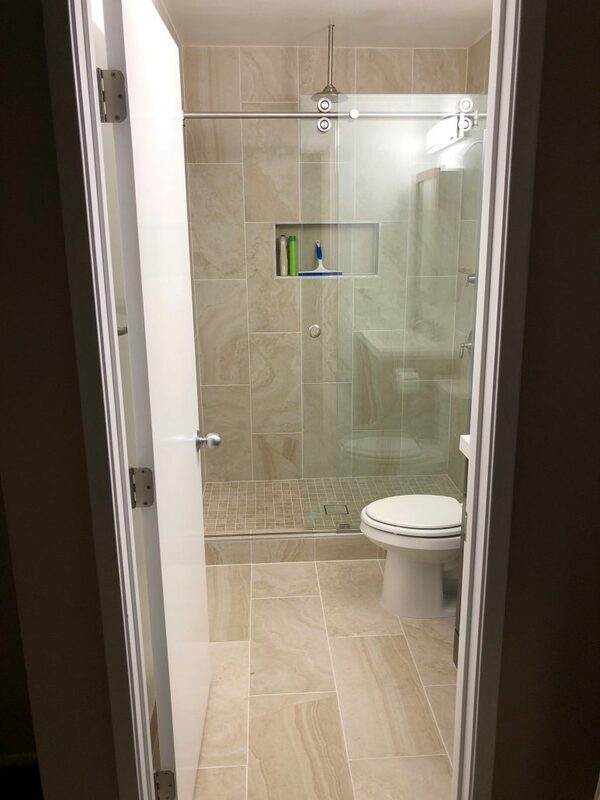 We were working down the street from N, and they approached us about doing their upstairs bathroom in their unit. 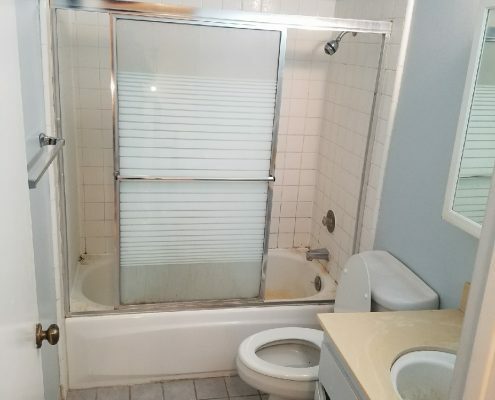 As you can see by the before pictures it was definitely in need of a major overhaul to bring it to a current, and beautiful state. 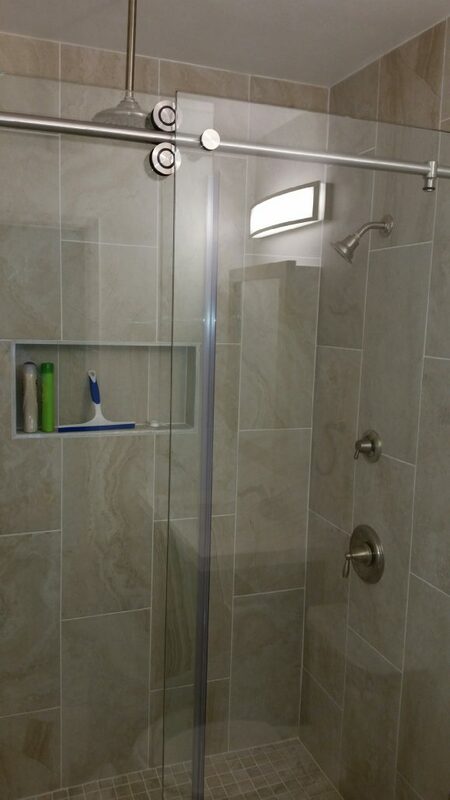 N decided to go with a rain shower head from his childhood because he loved the way it washed the day off after he had soaped up. 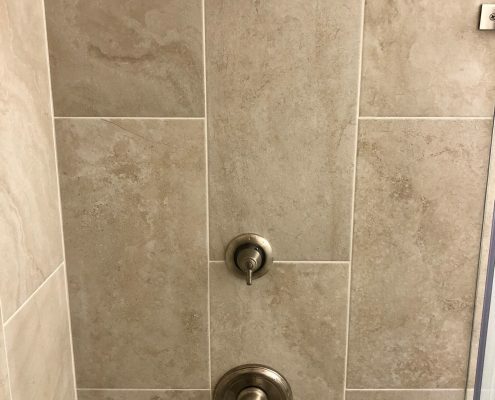 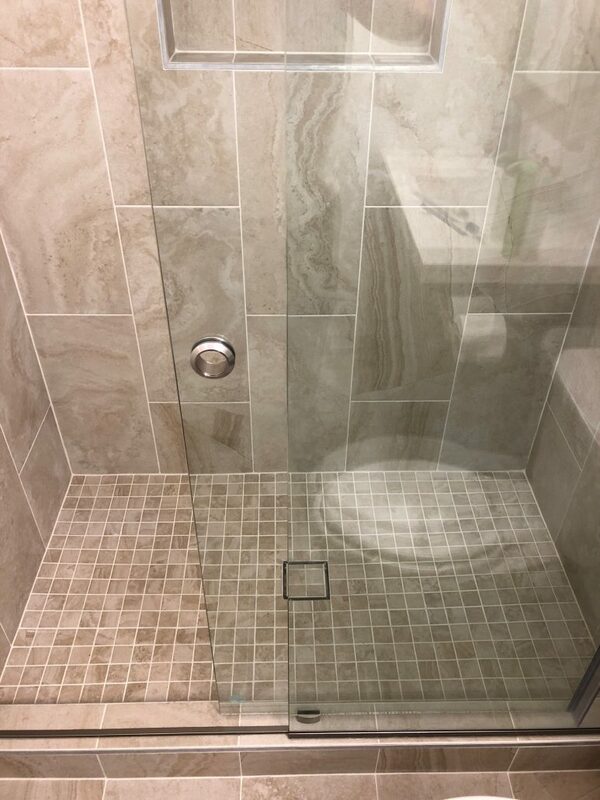 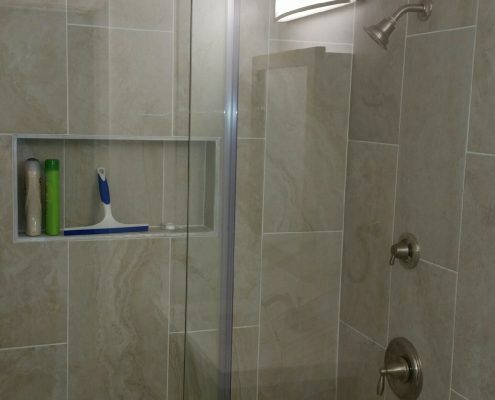 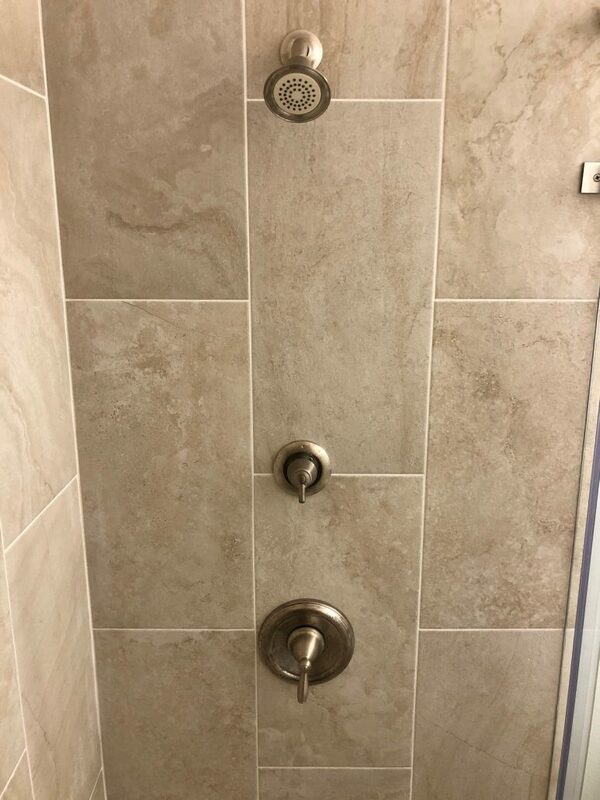 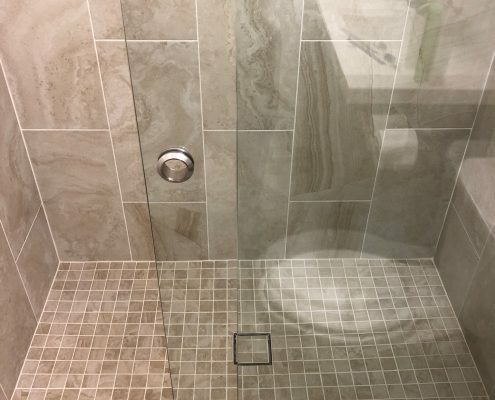 He also chose to use the same floor tile on the shower wall (you can see that they index each other from beginning to end). 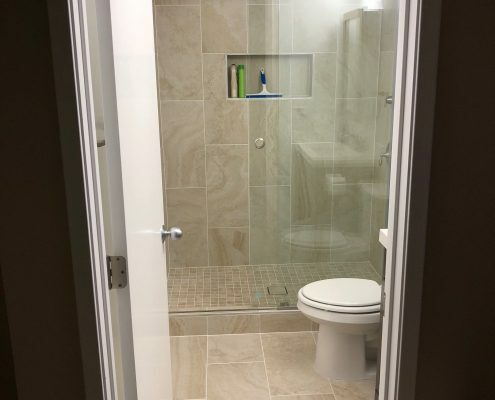 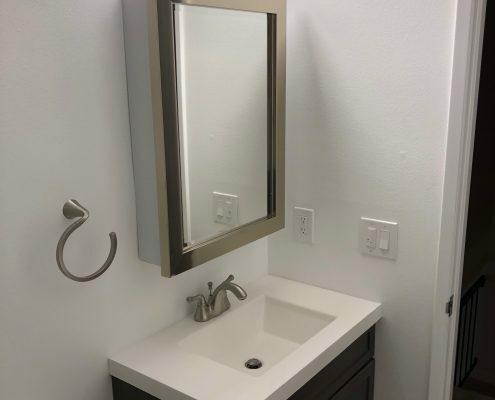 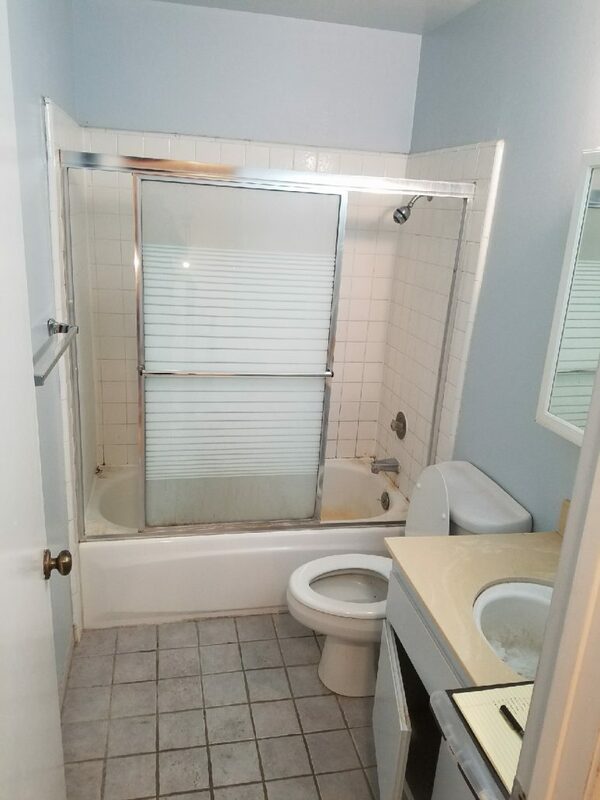 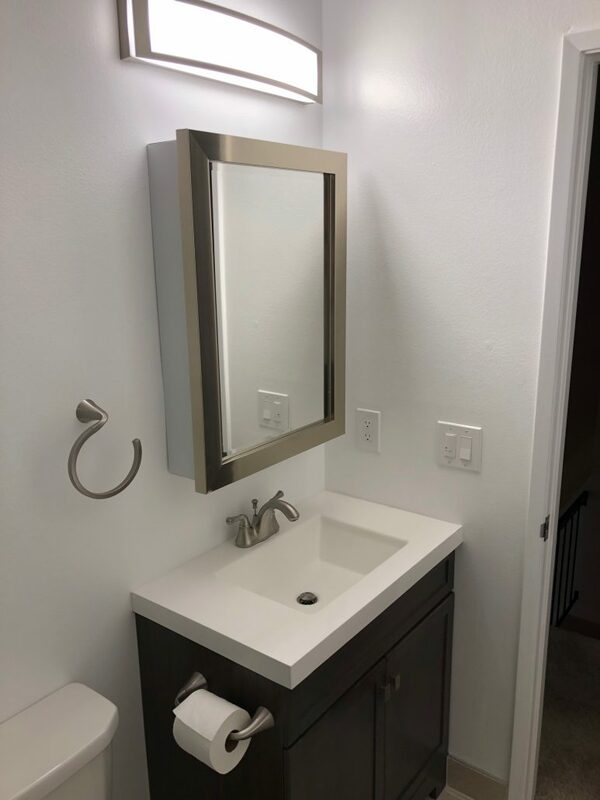 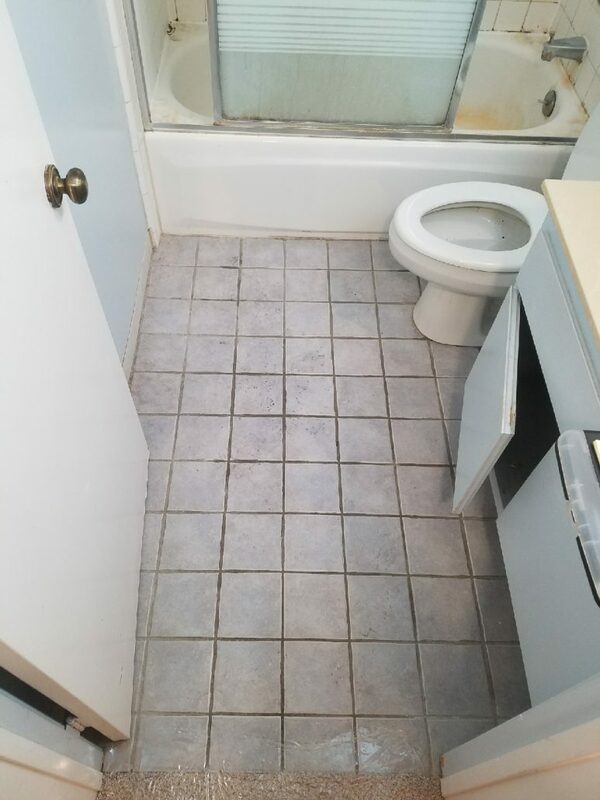 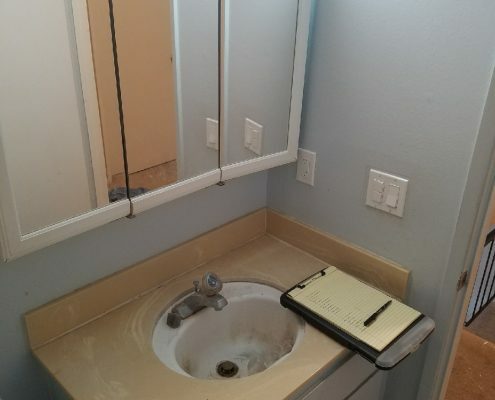 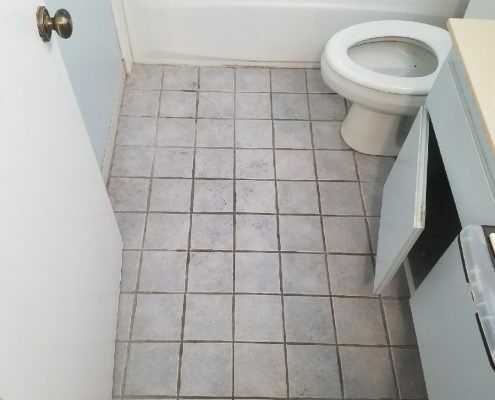 With a new vanity, toilet, and fixtures this bathroom went from the worst room in the house to a place to unwind at the end of the day. 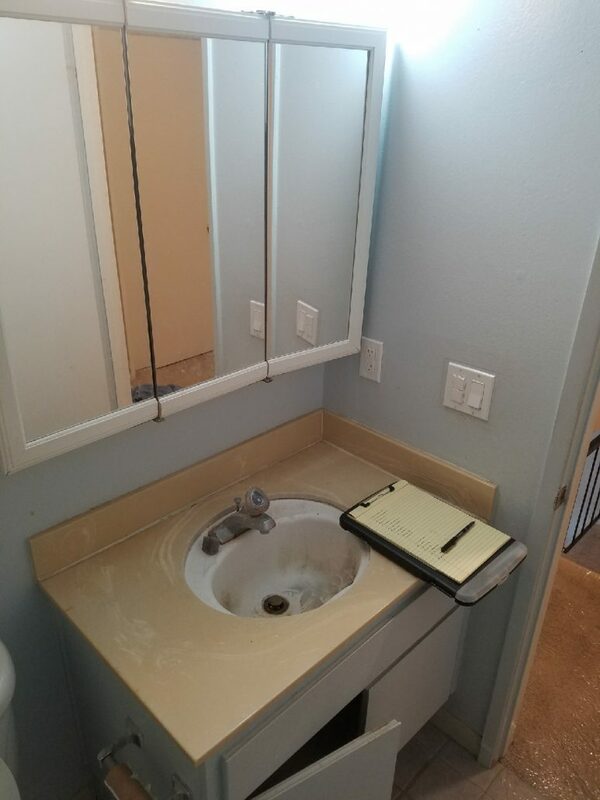 I want to thank N personally for his great attitude, for doing his homework, and having all the materials on hand before we started.